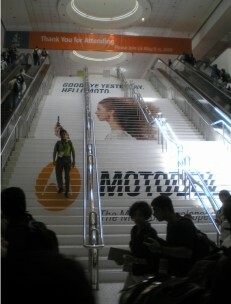 Turn your conference stairways into billboards. Oversized decals will be installed on each stair riser for a huge advertisement. As people walk this cooridor your ad will be seen and remembered.